Leading sanitary equipment innovator, Wirquin, has launched the patented WIRQUIN ONE, a new fully automatic flushing valve that they claim makes replacing a mechanical flush mechanism quicker than ever. WIRQUIN ONE has been designed, not only to suit most of the 2” cisterns but to speed up the process of replacing a mechanical flush valve. 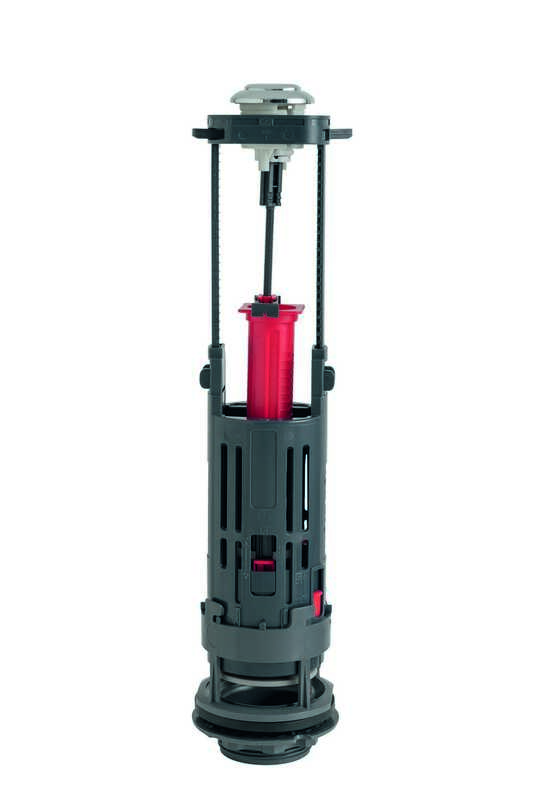 It offers a clever patented flush valve push button that’s self-adjustable. No more measuring or cutting, the product includes a telescopic overflow and adapts automatically to the height of the cistern ensuring an intuitive, fast and efficient fit. This patent also offers a more efficient and consistent water saving 6/4 Litre dual flush, with an operating force at just 16 newtons, requiring the lowest pressure on the market and making it really easy for children and older people to use. The product comes with a 10-year guarantee and is WRAS approved.